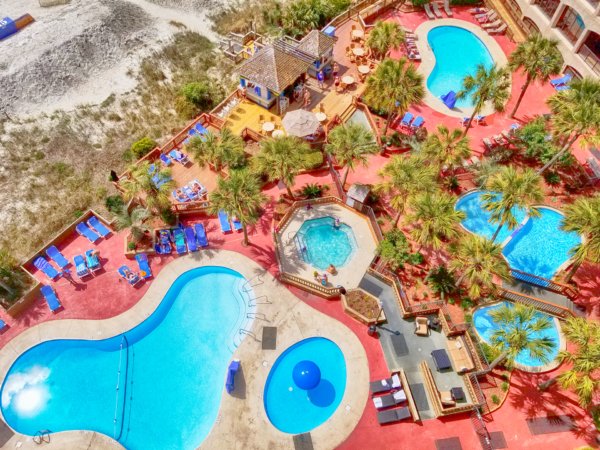 Walk into your Oasis! 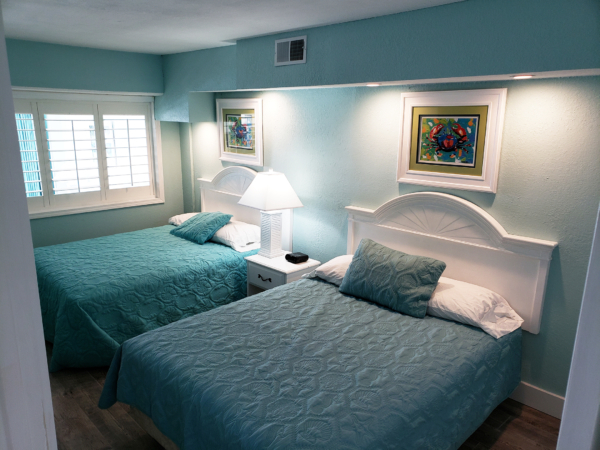 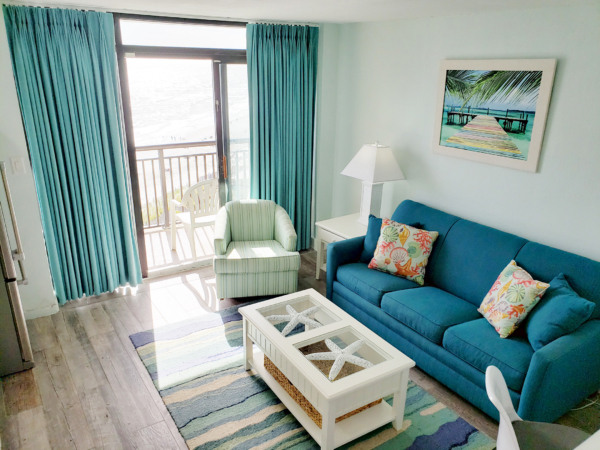 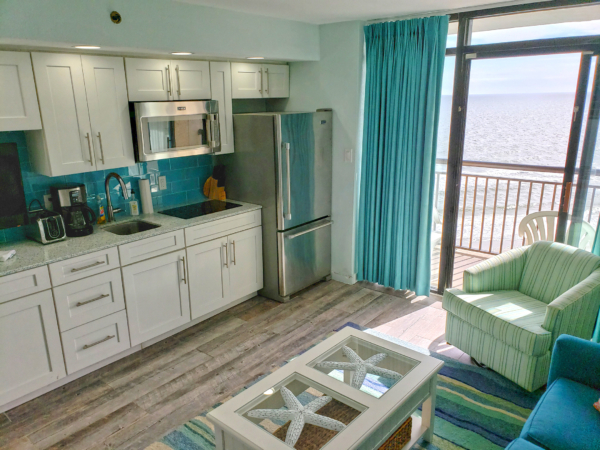 Our ultra modern beachfront condo is absolutely stunning! 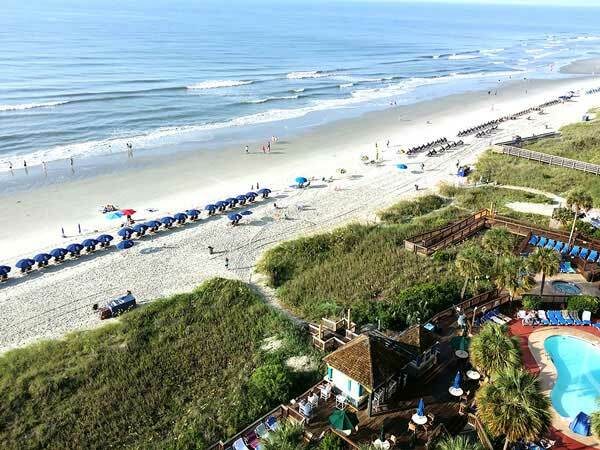 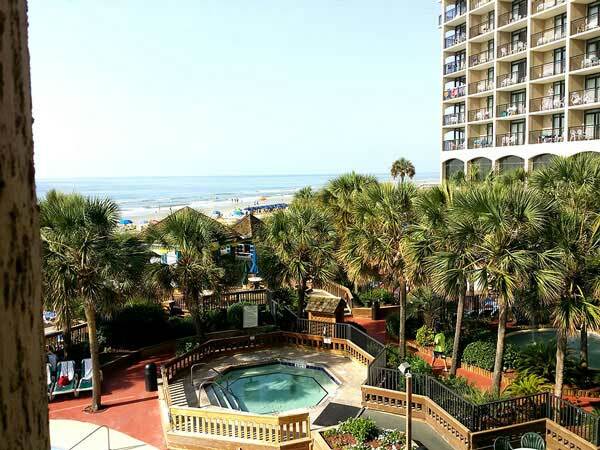 It is located directly on the beach at North Myrtle Beach. 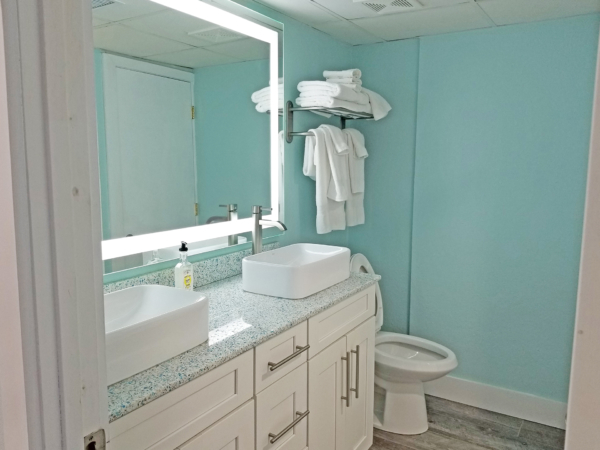 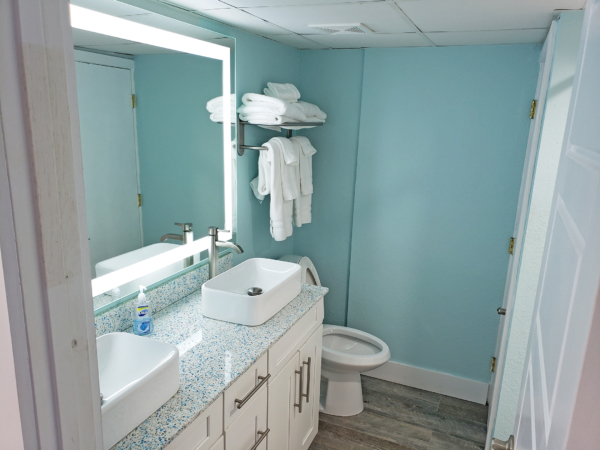 This 2015 remodeled unit is decked out with all the modern conveniences: Samsung 4K 40″ TV in the kitchen, Samsung 48″ LED TV in the bedroom, full sized induction cook-top, full sized GE stainless refrigerator(refrigeration on the top, freezer on the bottom) and modern faucets and vessel sinks in bathroom. 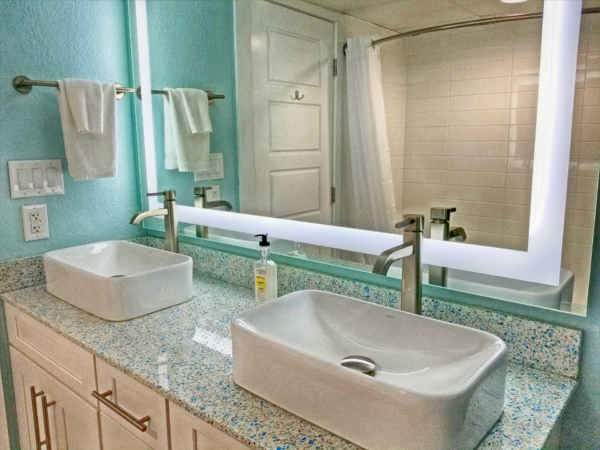 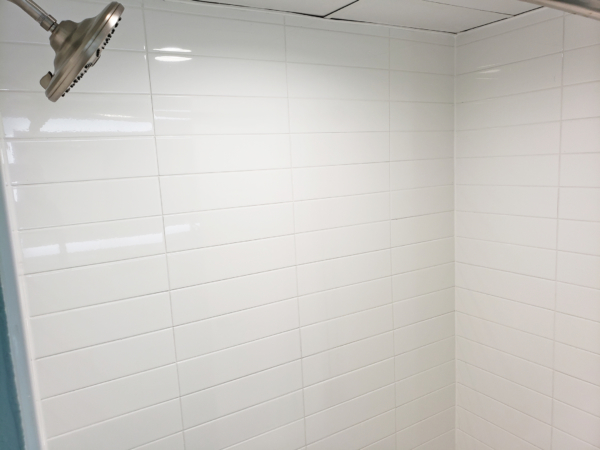 Our countertops are Eco-Friendly and are made of recycled glass along with the glass subway tile backsplash in the kitchen area. 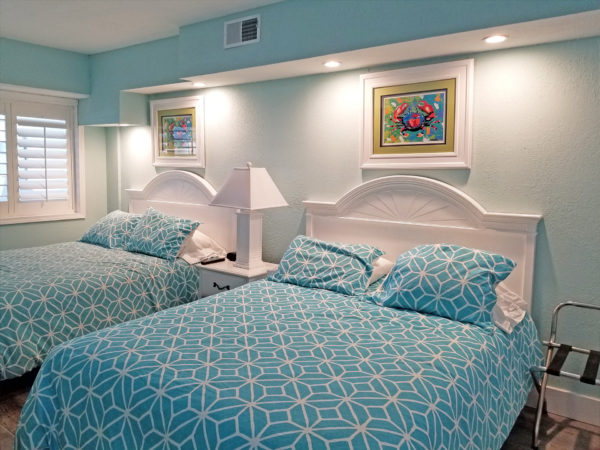 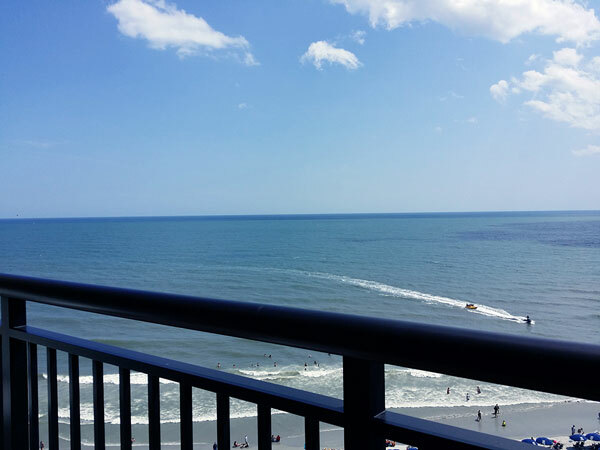 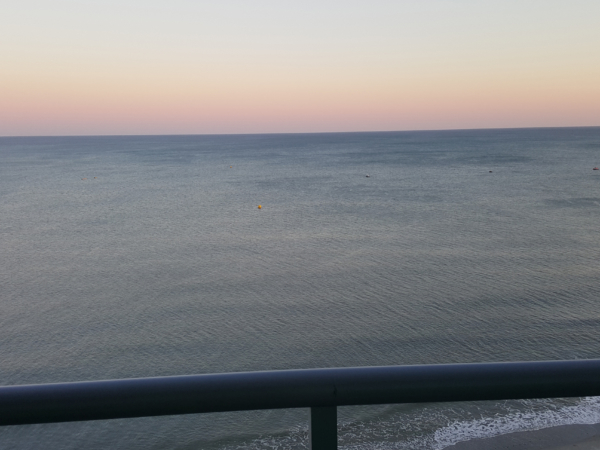 This beachfront condo is situated in a great location with all the comforts of North Myrtle, but all the perks of Myrtle Beach. 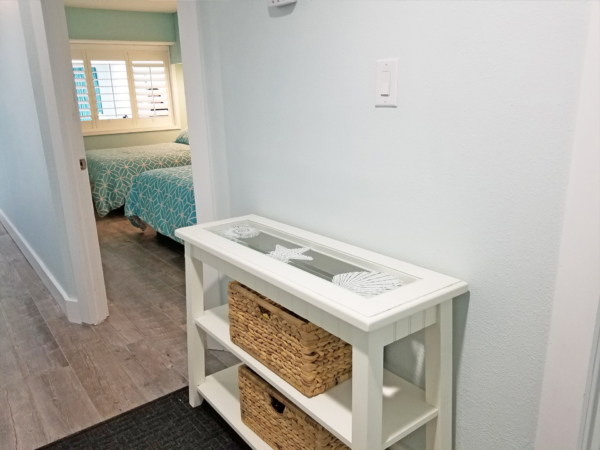 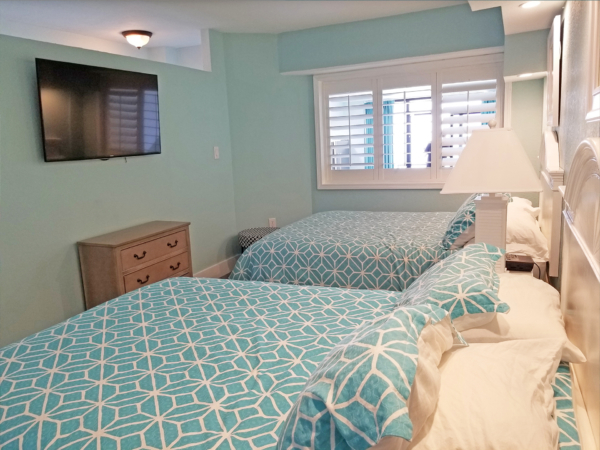 We have made this condo comfortable with all the extras you would expect in a beachfront condo and then some! 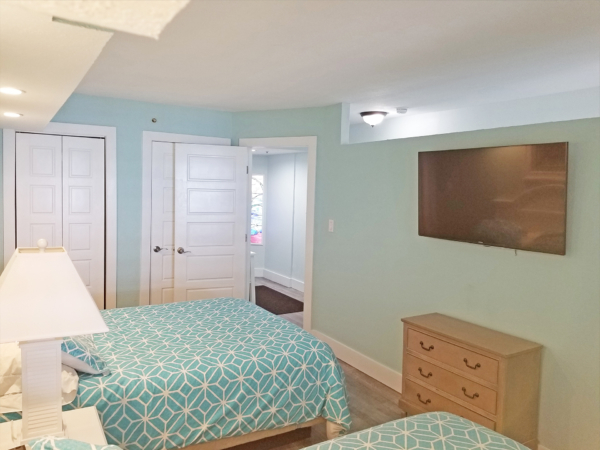 This modern 1 Bedroom, 1 Bathroom sleeps 6 and has 2 beds in the main bedroom and a couch that folds out into a bed to sleep additional people in the living area.